TABLE 12 DID YOU KNOW? CORY PROPOSED TO JAMIE IN ALLISON AT - ProudMummy.com the Web's Community for Mums. TABLE 12 DID YOU KNOW? 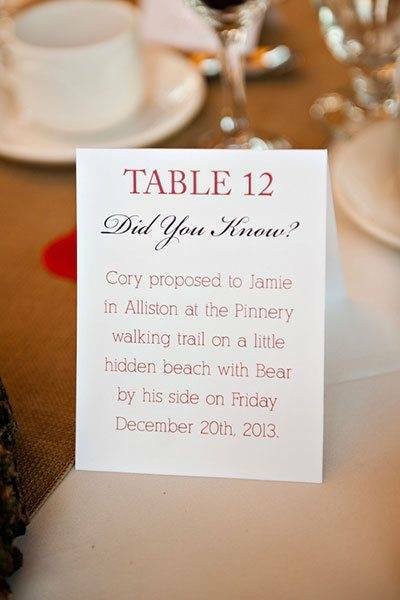 CORY PROPOSED TO JAMIE IN ALLISON AT THE PINNERY WALKING TRAIL ON A LITTLE HIDDEN BEACH WITH BEAR BU HIS SIDE ON FRIDAY DECEMBER 20TH, 2013.